The one thing most moms cannot be sure of is best diet for their children, especially if the kids are into athletics. There is coach’s advice, then there are articles, blogs, social media posts, and so much more to influence a mother on what would be the best diet. Every now and then an advanced research, a new discovery or a recently developed miracle-diet changes the whole combination. But there are some constants that will never change, things you must know before you come up with a plan for a budding athlete. · An athlete needs carbohydrates for energy. A young athlete needs carbohydrates for both growth and energy. Irrespective of what you might have read or heard, carbohydrates are not the bad boys of healthy diet. Quite on the contrary, carbs are like the fuel that power our body, hence essential part of a healthy diet. Beans, green leafy veggies, fruits, cereals, nuts, all are the good forms of carbs that provide fiber and energy for a healthy diet. The kind of carbs one should refrain from are refined and processed carbs which are mostly found in sugary bakes, processed food and sugar-based drinks. · As a part of healthy diet, your child needs protein-rich and low-fat food. But again, choices of food matter. There is good-fat, aka saturated fats like cheese, tropical oils, dark chicken meat, etc. actually constitute an essential element of healthy food. Some vitamins also require fat to get dissolved in the blood stream. The bad fat comes from unsaturated or trans-fat, which may be responsible for cholesterol and certain health conditions. · You may read or hear about foods that harm and foods that heal. While most of this information may also come from authentic research studies, but it is always good to run your diet plan by a certified dietician or a health professional. Every body works in its own way. The combination of threshold, metabolism, nutritional level, energy level, personal health, lifestyle and mindfulness can make one person different from the other, hence changing the diet requirements too. 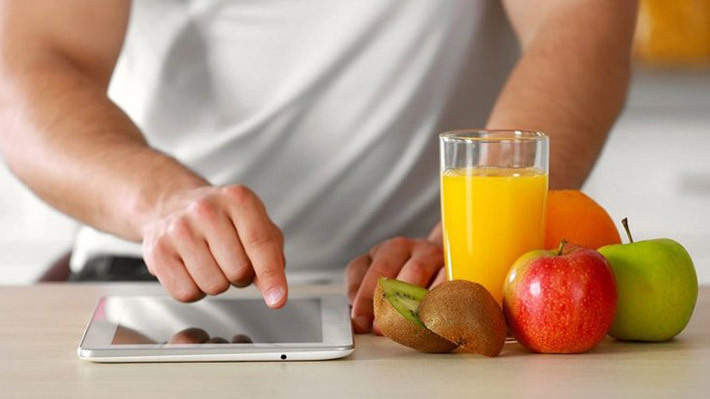 Especially in case of athletes, wherein diet becomes a very critical to performance, the diet plan should be tailored to the athlete’s specific requirement. · A good diet would consist of balance of nutrients, that would take care of the ongoing muscle development, growth, and repair and recovery of muscles that takes place frequently for sports people. No one element can define what your child needs. It will have to be a fine balance of all the nutrients food offers. · It’s not just the kind of food you eat that matters, the timing matters too. Keeping regular intervals, and planning your food intake to match the time and requirement of the body is also very essential. Eating the right food at the wrong time can prove fatal to performance. For instance, working out on an empty stomach can make you feel exhausted even before you start. At the same time having fiber or fat rich food just before workout can make you feel bloated, since fat and fiber take time to digest. Again, it is essential to refuel after a workout since body needs to make up for the wear and tear of tissues and muscles. Skipping meals is a strict no-no.